Dec. 5 (UPI) — New research suggests Jurassic ichthyosaurs were more like modern marine mammals than previously realized. The ancient marine reptiles were ubiquitous in the Jurassic oceans. Studies of ichthyosaur fossils suggest they were dolphin-like in appearance, but until now, paleontologists knew relatively little about their biology and behavior. According to the new study, the reptiles were warm-blooded, had blubber and used coloration to camouflage themselves from predators. “Ichthyosaurs are interesting because they have many traits in common with dolphins, but are not at all closely related to those sea-dwelling mammals,” Mary Schweitzer, professor of biological sciences at North Carolina State University, said in a news release. 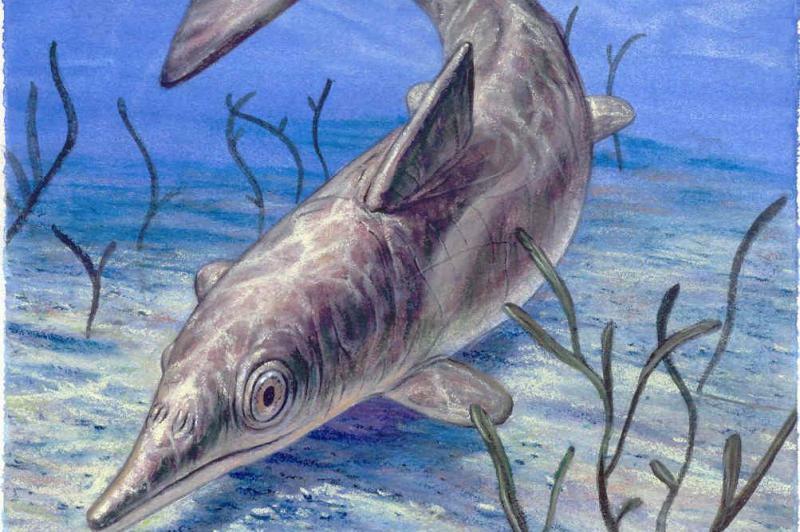 Previous research suggested ichthyosaurs gave live birth, a trait typical of warm-blooded animals, but many questions remained. Some of those questions have since been answered thanks to a well-preserved Stenopterygius fossil recovered from a German quarry. “This study reveals some of those biological mysteries,” said Schweitzer, who hold a joint assignment at the North Carolina Museum of Natural Sciences and also serves as a professor at Lund University in Sweden. The 180-million-year-old fossil specimen was so well preserved researchers were able to make out individual organs and even observe different layers of skin cells. Chemical analysis of the skin layers revealed a composition consistent with vertebrate blubber. “This is the first direct, chemical evidence for warm-bloodedness in an ichthyosaur, because blubber is a feature of warm-blooded animals,” Schweitzer said. The research, published this week in the journal Nature, suggests ichthyosaurs had whale-like skin and coloration similar to most marine mammals, a dark top and light bottom, making them less perceptible to pterosaurs lurking above and pliosaurs hunting below. To better understand how the specimen’s biological systems worked, researchers used a unique combination of advanced chemical analysis techniques, exposing the ancient tissue samples to a series of antibodies and observing the subsequent biochemical reactions. The analysis methods could be used to study fossilized tissues belonging to other ancient species.